Open, stony soil with Allium. 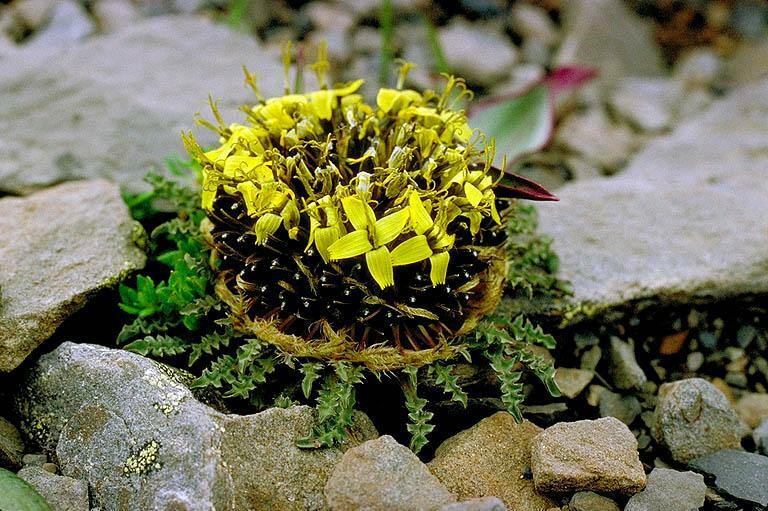 Plants mostly underground, only leaves and inflorescence on surface; florets yellow; stigmas greenish brown. Initially identified as Soroseris gillii (S. Moore) Stebbins subsp. Gillii.